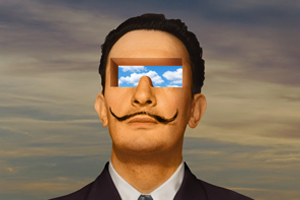 The Dali Museum, St. Petersburg, FL, US, is open daily 10am-5:30pm (until 8pm on Tursdays). Download our app (be sure to bring your headset or earbuds) to avoid the lines for audio tour equipment. 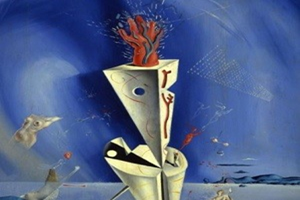 The Dali follows international standards for gallery climate: 68-72 degrees Fahrenheit, with approximately 50% humidity. Please plan your attire accordingly. Convenient on-site parking is available for $10. Parking is free for members as available. There are also various surface lots, street parking and city parking garages and the St Petersburg Downtown Looper trolley. Parking fees vary. Enjoy special hotel package offers which may include Dali Museum tickets from a wide range of preferred hotels in the Tampa Bay area. Approaching via Tampa Take I-275 southbound across the Howard Frankland Bridge to St. Petersburg. Take exit #22 (I-175 E) towards Tropicana Field Follow I-175 until end, turns into Dali Blvd (aka: 5th Ave S) Dali Museum will be on your left after 4th light. Approaching via Clearwater Take U.S. 19 southbound and follow to 1st Avenue South in St. Petersburg. Take a left onto 1st Avenue South. Follow 1st Ave S to 4th Street South. Take a right onto 4th Street South. Follow 4th St S to Dali Blvd (aka: 5th Ave S) Take a left onto Dali Blvd (aka: 5th Ave S) Dali Museum will be on your left after 3rd light. Approaching via Sarasota Take I-75 N to I-275 northbound across the Sunshine Skyway (toll cost $1.25) to St. Petersburg. Take exit #22 (I-175 E) towards Tropicana Field Follow I-175 until end, turns into Dali Blvd (aka: 5th Ave S) Dali Museum will be on your left after 4th light. 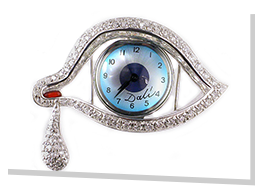 The Dali Museum, One Dali Blvd, St. Petersburg, FL 33701 USA, is open daily 10am-5:30pm (until 8pm on Thursdays). The Museum is closed on Thanksgiving day, Christmas day and March 13, 14 & 15, 2020. See Special hours. Convenient on-site parking is available for $10. Parking is free for members as available. There are also various surface lots, street parking and city parking garages and the St. Petersburg Downtown Looper trolley. Parking fees vary. Take I-275 southbound across the Howard Frankland Bridge to St. Petersburg. Take exit #22 (I-175 E) towards Tropicana Field Follow I-175 until end, turns into Dali Blvd (aka: 5th Ave S) Dali Museum will be on your left after 4th light. Take U.S. 19 southbound and follow to 1st Avenue South in St. Petersburg. Take a left onto 1st Avenue South. Follow 1st Ave S to 4th Street South. Take a right onto 4th Street South. Follow 4th St S to Dali Blvd (aka: 5th Ave S) Take a left onto Dali Blvd (aka: 5th Ave S) Dali Museum will be on your left after 3rd light. Take I-75 N to I-275 northbound across the Sunshine Skyway (toll cost $1.25) to St. Petersburg. Take exit #22 (I-175 E) towards Tropicana Field Follow I-175 until end, turns into Dali Blvd(aka: 5th Ave S) Dali Museum will be on your left after 4th light. Personal (non-commercial*) photography and videography is permitted on the Museum’s first floor and in the gardens. Still photography and smart phone video is also permitted in the Museum's permanent collection galleries for private, non-commercial use only. We do not permit flash photography or video lighting at any time, nor selfie sticks, monopods or tripods. Photography in special exhibitions is determined at the time of the exhibit. Please review on-site signs or check with a member of Museum staff for clarification on our photographic policy for these exhibitions. The Dali Museum property is a no drone zone. Due to strong safety concerns and protection of our grounds, guests, and the building, drone flight or photography (or flight of unmanned, and/or remote controlled aircraft of any kind) originating from or flying over The Dali Museum property, is strictly prohibited, except in collaboration with The Dali Museum's Marketing Department and with express written permission. What security measures does the Museum have in place? Our security staff use detection wands, bag checks and metal detectors at the entrance to insure the safety of all guests. The Museum’s galleries are wheelchair accessible. The Museum has four wheelchairs for public use, which are available on a first come, first serve basis, and cannot be reserved. There are designated accessible parking spaces located in the blacktop parking lots immediately adjacent to the Museum’s south and west sides. The building was designed and constructed according to current ADA standards. In the course of planning for future expansions and renovations, The Dali is committed to a building providing full access to all. Service Animals* – The Dali complies with all ADA requirements and accepts service animals in the museum as defined in the ADA 2010. The Dalli does not permit Emotional Support Animals (ESA)** on site. Emotional Support Animals or Comfort Animals are often used as part of a medical treatment plan as therapy animals, are not considered service animals under the ADA. Please leave all backpacks and other large bags in your car or use our lockers near the front entrance. Musical instruments are not permitted in the Museum (except those coming for sanctioned Museum events/performances). Individuals may sketch with pencil on a small (9” x 12” or smaller) hand-held pad during public hours in the permanent collection galleries. Sketching in special exhibition galleries is by permission only, subject to lender and gallery restrictions. If you have left something behind at the Museum, please call the Security Office at 727-623-4741, during regular hours of operation. Standard-sized recreational vehicle (RV) parking is permitted in The Dalí Museum parking lot if the vehicle fits into a standard parking space (9-feet wide by 18-feet long) and does not impede other parked vehicles from any direction, which is determined at the discretion of Museum personnel. Over-sized recreational vehicles: The Dalí parking lot has two (2) oversized parking spaces located in the northwest corner of the parking lot. A recreational vehicle may park in either of these spots, if available, on a first come first served basis at the discretion of Museum personnel. Visitors are not guaranteed that the oversized vehicle spots will be available at the time of their visit. The two parking spots are also used for motor coaches, school buses and limo parking. Parking fees are charged for the time that the visitor is inside the Museum. The garden labyrinth structure is made of hedges with a single, swirling pathway that always leads to the center of the labyrinth and returns. It is open 30 minutes prior to opening (9:30am)* and remains open for 30 minutes after the galleries close*. It is constructed to promote a time of quiet reflection and soulful contemplation. For the enjoyment of all, please stay on the paths within the labyrinth and enjoy the peace and serenity of this quiet space. Thank you for keeping our garden beautiful. For the safety of our visitors, roller-blades, bicycles, and skateboards are prohibited in the garden. *hours subject to change without advanced notice. Weapons must be checked with Security upon entrance to the Museum. This includes: knives, box cutters, and scissors. Cafe Gala offers light Spanish-inspired fare during regular Museum gallery hours*. The cafe is located on the first floor of the Museum. Inside and outside garden seating is available. No reservations needed. Food and drink (including bottled water) are not allowed in the Museum’s galleries. If you have questions about the policy, please contact the Security Office at 727-623-4741 during regular hours of operation or email info@thedali.org. How should I dress for my visit to the Museum?